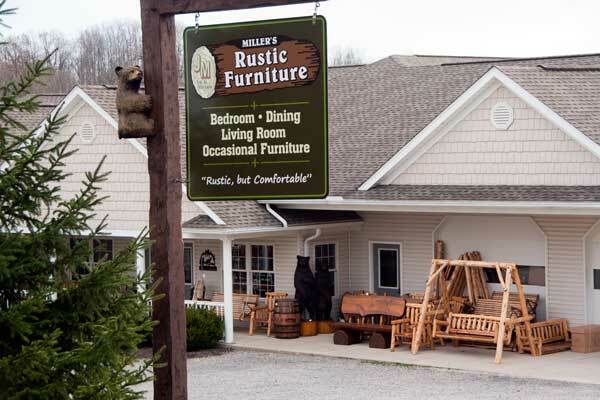 Miller’s Rustic Furniture, near Millersburg, Ohio is nestled in the rolling hills of Saltillo, a community where horse drawn buggies travel leisurely down the winding country road and neighbors have time to visit across the backyard fence. Our family owned business is pleased to offer the best of products, carefully built by craftsmen whose quality and excellence is a reflection of our hardworking ancestors who farmed the surrounding hills. Every piece of rustic log furniture is created from hand picked native wood and is designed to take you back to the relaxing country cabin setting, a place where the fresh breeze and sounds of nature lets you relax in peace. 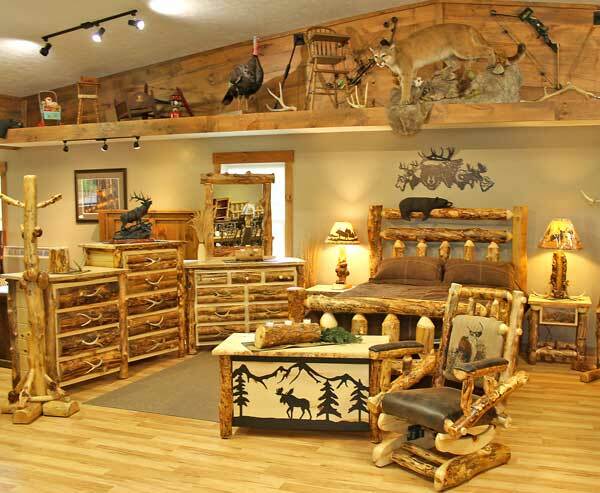 Our showroom features log furniture pieces including rustic bedroom, dining room, living room, and occasional furniture. Featured wood species include rustic hickory, aspen, pine, reclaimed, and red cedar. We also carry popular live-edge slabs in a variety of our furniture pieces. Outdoor rustic furniture is made with red cedar or hickory. Porch swings, chairs and rockers are designed and constructed to endure many years of rugged weather and lots of regular use. We also offer upholstered living room furniture using the distinctive hickory log frame. 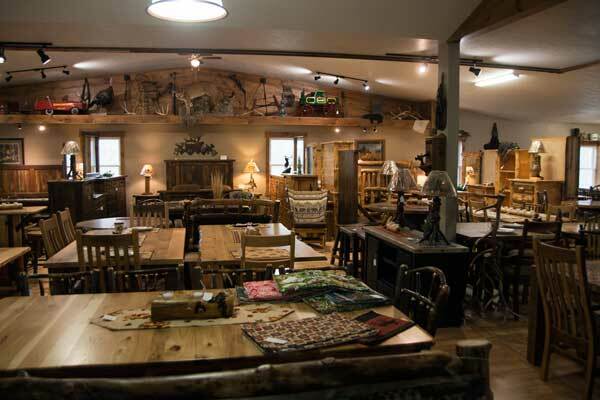 All of which makes for a store where you can completely furnish a country home, log cabin or mountain get away. The scenic drive to Saltillo is worth it. 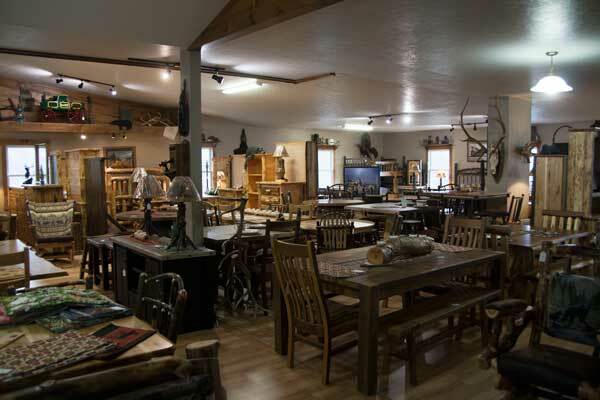 So stop in, we would love to show you our large selection of handcrafted rustic furniture or discuss custom making a piece just to fit your needs. We are located only a few miles from Berlin, Ohio and Millersburg, Ohio on Holmes County Road 68.